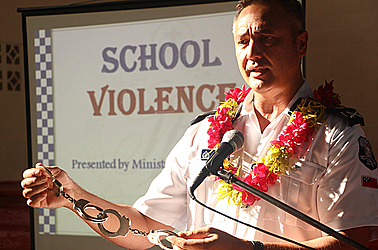 Senior students attending Samoa College participated in a seminar and discussion on a complex issue that affects not only their education but also national development – violence in schools and at home. Christian DesRoches, the Acting High Commissioner of Canada to Samoa based at the Canadian High Commission in New Zealand, was among those presenting on the issues. “One of the priorities of the Government of Canada in our development programs is to promote the rights of women and girls,” he said. “Domestic violence is not just an issue for women. Women everywhere play a vital role in keeping communities together, creating prosperity, and raising children. More and more women have a role to play in politics and in business so we need to make sure that their rights are protected. I have visited Samoa a few times before and I am aware that women play an important role in your society. “But at the same time there are significant issues to be addressed in terms of domestic violence. Of course, domestic violence exists everywhere. I am not going to tell you that it’s not a problem in Canada because it is a problem there as well. Our statistics in Canada are quite sobering: about 50% of women have been victims of some form of domestic violence in the past and in recent years, about a third of all homicides were people who were killed by their spouse or immediate family member, and about 10% of children have been victims of some form of sexual abuse within their families. “A developed country like Canada has a lot of resources and can put a lot of effort into policing and social services, but we still have to deal with these issues day in and day out. Police officers and community workers are struggling with these issues and so Samoa is not alone. The good news is that rates of domestic violence in Canada have gone down in recent years. One of the reasons for this is that there has been more education. Years ago, women felt that they had to bear the burden alone, they could not speak out about it. Now, because of education programs, they know that they can speak out, that they have resources to help them and that they don’t have to suffer alone. Public attitudes to domestic violence in Canada can be compared to the issue of drunk driving. When I was a child growing up in Canada, people used to drink and drive all the time. Sometimes there were accidents but people said it was just part of life – we had to accept it. But now after a thirty-year campaign, everyone in Canada understands now that drinking and driving is not okay, that it is a criminal act that can be punished. What is considered socially acceptable has changed dramatically in recent years and our hope is that we can achieve that with domestic violence as well. As young students, one of the things you have that your parents often don’t have is your understanding of the power of new technology. Some of you may be on social media and some of you have cell phones although I understand you are not allowed to bring them here to school. More and more you can express your feelings, you can share information on Facebook, on Twitter, and on other social media apps. Social media is always a bit of a double-edged sword: it presents an opportunity but there are also risks. You can use some of these tools to get the message out or reach out to friends who may need your support. In his presentation, Commissioner of Police, Fuiavailili Egon Keil started off by holding up a pair of handcuffs which he used to arrest a lot of violent criminals in the United States when he was an officer of the L.A.P.D. 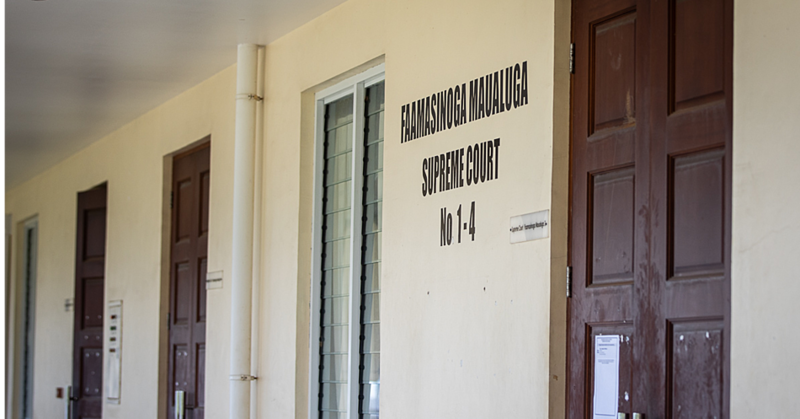 “One of the Samoa Police force goals is to reduce the incidence of violence in our homes and in our country,” he stated. A survey of the 276 students present at the seminar found that 23% either knew someone who had experienced violence in the last 12 months (10%) or were themselves victims of violence in the last 12 months (13%). Documentary filmmaker Galumalemana Steven Percival of the Tiapapata Art Centre organized the event with assistance provided by the Canada Fund for Local Initiatives. During his presentation, he screened the reading of “Ou te Malu i La‘u Aganu‘u” (I am protected by my culture), a moving poem by Ms. Tomai Lefono that gives voice to a Samoan woman or girl who suffers violence from her father, her mother, her brother, her school teacher and her Church minister. 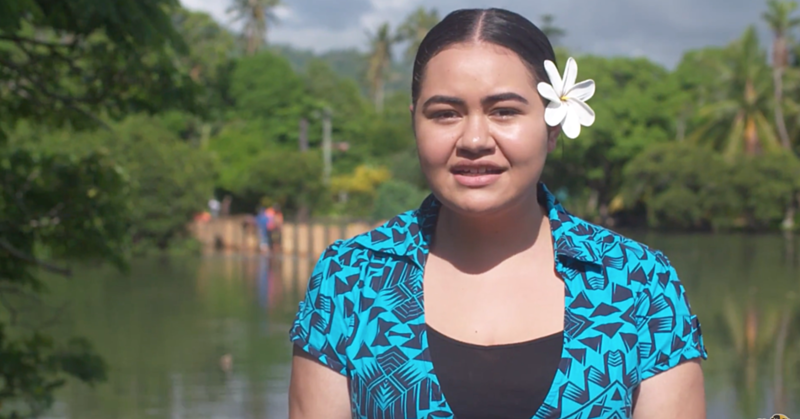 That poem won the 2014 Samoa Ne‘i Galo Speech competition. Galumalemana ended by asking students to discuss the vā tapuia, a Samoan cultural paradigm that many Samoans say can effectively counter violence. Also on the agenda for discussion was the use of the sasa (smacking) as a disciplinary action in families. 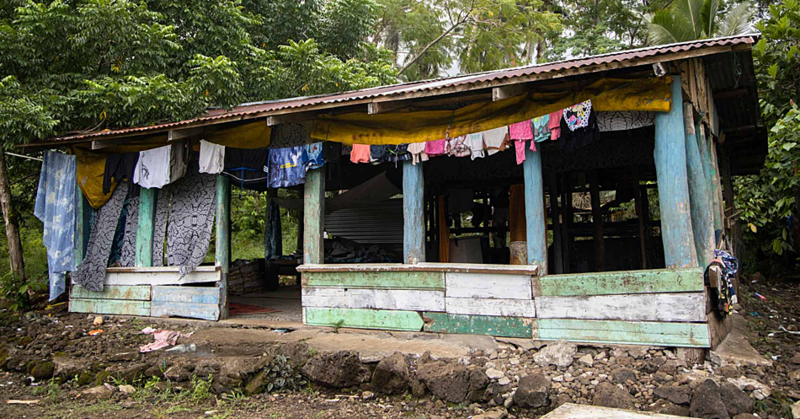 Others in the team included Detective Inspector Maotaoalii Kaioneta Ali‘isolia, Sergeant Lemalu Upumoni, Constable Atalina Iuli, Acting Principal Social Worker for National Health Services Naomi Eshraghi, Pastor Tiumalu Tai, and Ms. Faitasia Taufao Lo‘i from the village of Piu. This weekend, the discussion will be held in Puipa‘a and the following week, the discussion moves to Magiagi.